When the Miami Dolphins came out to a 10-0 lead against the Baltimore Ravens Sunday I felt pretty good, that feeling did not last. Of course I felt good the defense had stuffed the Ravens offense for three straight drives, the offense seemed to be able to move the ball on Baltimore’s defense as well. All seemed well. The cracks began to show and you saw what followed. The Ravens dominated the rest of the way, outscoring the Dolphins 28-3. So here are Five Things. 1. The season is not over, it just feels like it is. Mathematically the Dolphins still have a shot at the playoffs, a shot. Most likely they need to win out, which means beating New England in Foxboro. They will need a lot of help. A lot of teams need to lose at least once in the next three games. I hate depending on other teams. They should have just taken care of business themselves. 2. Defense: Where did the run defense go to? 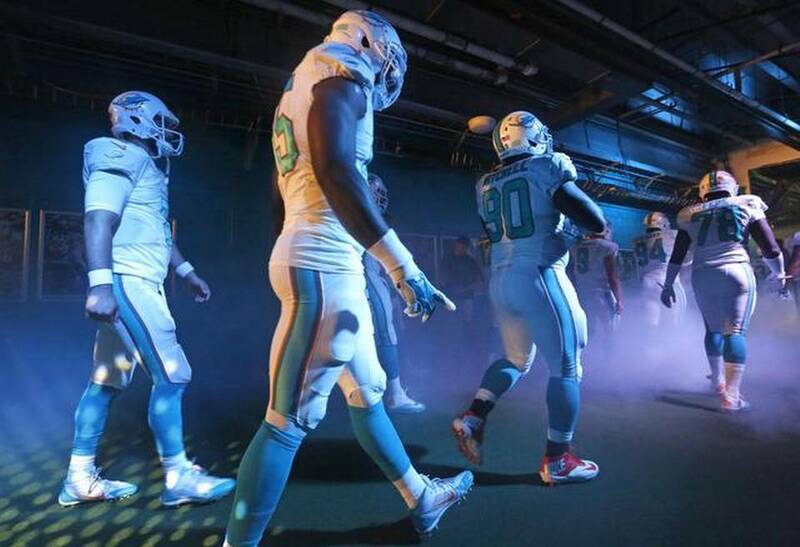 Once upon a time the Dolphins boasted a top-ten run defense, not anymore. Getting pushed off the line of scrimmage, bad angles, missed tackles just plain bad. They have given up over-650 yards in the last three games. That makes things even easier for upper echelon quarterbacks like Joe Flacco, what will it do against Tom Brady. 3. Injuries: These are players that left the field at some point Sunday- Jared Odrick, Koa Misi, Jelani Jenkins, Samson Satele, Charles Clay and Louis Delmas. Add those names to Branden Albert, Knowshon Moreno, Dannelle Ellerbee, Michael Thomas, Will Davis, Jamar Taylor and Courtland Finnegan. The team is looking like a mash unit. The loss of Branden Albert hurt the offensive line badly but the secondary may have been hit the worst. Delmas may be gone for the season and only Finnegan looks to return anytime soon to help. RJ Stanford was one of our starting corners this week, let that sink in. 4. Mike Wallace. Many fans are upset about the lack of shots deep by the offense. Wallace should be a weapon deep but watching the game it does not look like Ryan Tannehill has the time to even attempt a deep pass let alone complete one. The bigger concern is the occasional lack of effort by Wallace. Commentators claim that Tannehill missed a touchdown pass to Wallace in the second half. That simply did not happen. The ball was right where you want it away from the defender towards the pylon, the receiver has to make that play. If Wallace had tried to get to the ball and could not that would be one thing, he gave up on the play. Gave up. Unacceptable. 5. Coach Joe Philbin has been criticized for a lack of emotion. He is so even-keeled sometimes you wonder if he has a pulse. The problem is when he does not seem to get the team ready to play. Watching the second half I found myself wondering if the team knew how important this game was. That is on the coach. Yes there are three games left and a slim chance to make the playoffs still exists but this game mattered. It would be nice if the coach understood that.